LA Dodgers first baseman Steve Garvey, second baseman Davey Lopes, shortstop Bill Russell and third baseman Ron Cey. 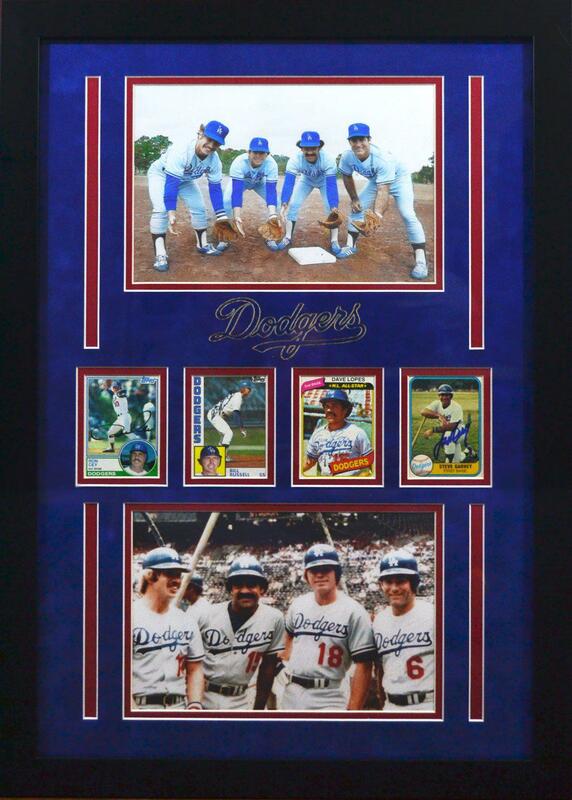 The 4 Dodger players stayed nearly 9 seasons (1973-1981) together - major league record. Custom framed. Frame measures approx 26 x 18 inches.